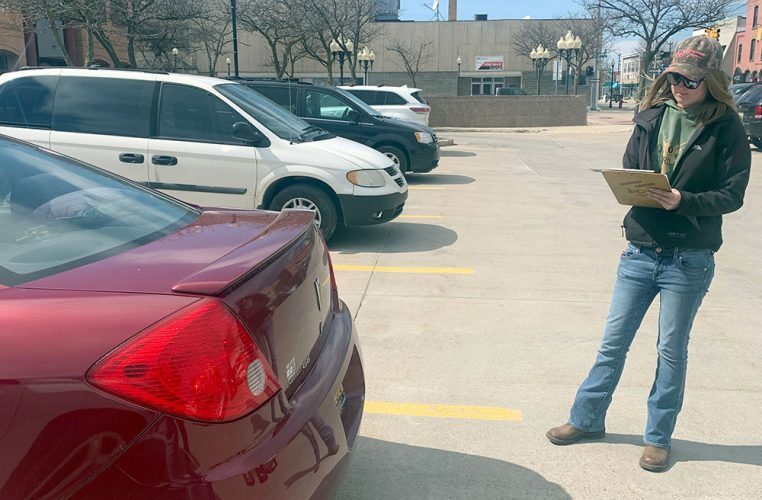 IRON MOUNTAIN — For almost 15 years, Step Ahead has outfitted working men and women with the right apparel to get the job done within “a good 100-mile radius” of Iron Mountain. 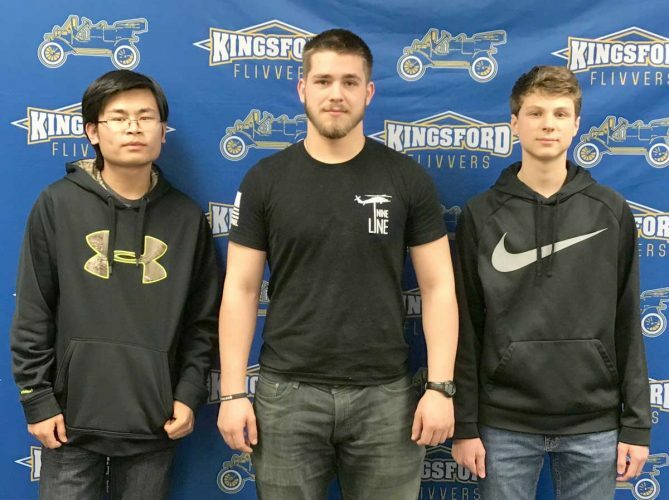 “We have people that come from Escanaba, Crandon, Beecher, Pembine, Sagola, Iron River,” said manager Kari Goral, who oversees the business for Bill and Samantha Neuens of Kingsford. Bill Neuens first opened the business in October 2004 just after his father, Butch Neuens, closed his garden center that offered the Red Wing boot line. 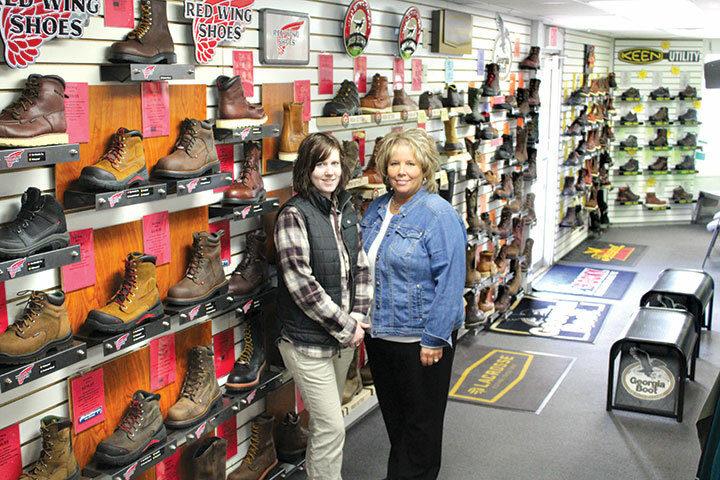 “Ever since his dad sold the business, Bill has wanted to start his own boot store,” said Mary LaPalm, general manager of Bill Neuens Enterprises Inc. In January 2007, Neuens purchased Izzo’s Shoe Hospital and eventually combined both stores in April 2008, continuing the tradition of repairing boot and leather items on site. Neuens also owns his own landscaping business and other entities in town, including Neu Cup Coffee and Neuens Auto. Neuens then doubled the size of the store in January 2016. “He does a little bit of everything. He is a hard worker, and he needs good clothes and good shoes … There was a void for things he needed himself — there was a necessity for good boots,” Goral said. 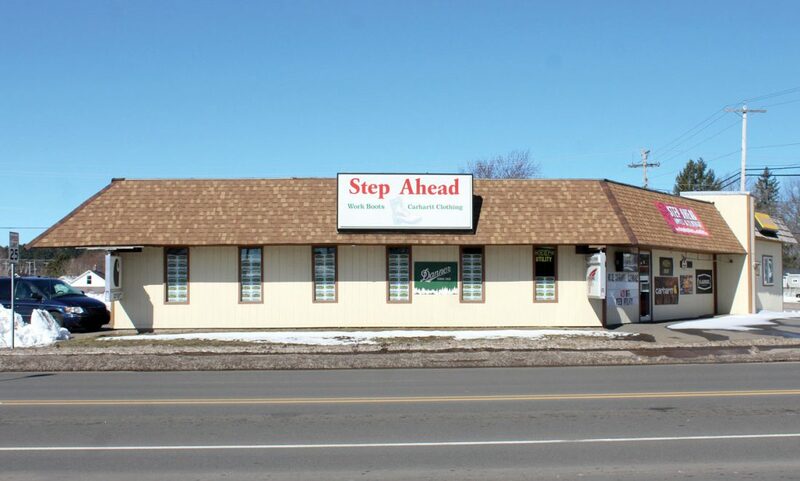 Step Ahead has two full-time employees, manager Goral and Kirsha Nichols in sales and repair, plus Kristen Reed in part-time sales. The store carries more than 200 styles of work boots for both men and women, with brands such as Red Wing, Danner, Irish Setter, Thorogood, Georgia, Rocky, LaCrosse, Merrell, Carhartt and, most recently, Keen Utility. “Keen Utility are rated number one in workwear since 2004. Keen takes that signature style and creativity and matches it with the comfort and durability needed in work footwear,” LaPalm said. Step Ahead’s line of Carhartt clothing includes socks, gloves, wallets, safety glasses and hats. “We constantly order, The guys that shop ‘Loyal to Local,’ they buy their stuff here. We have top-notch, quality products. That’s what Bill wants in here. You can’t go to many places and find this many boots. We carry the best stuff for the guys that are working,” Goral said. The shop takes pride in its customer service as well, LaPalm said. “We make sure they have the right fit for their foot, and they get the right boot for their job. Once they’ve bought a good pair of boots from us, they come here and buy them again,” she said. Step Ahead staff say they enjoy their work. “It’s been fun for me to be able to see how much the store has grown over the last 15 years,” LaPine said.